We carry a full line up of docks and lifts from Daka, Shorestation and Lakeshore Pontoon and PWC lifts. 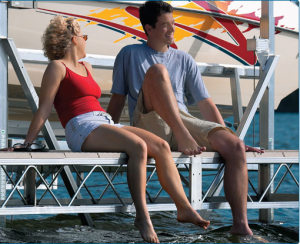 We also carry replacement parts and accessories for your docks and boat lifts. Stop in today to check out our inventory or talk with one of our professionals to build and design the right dock for your lake front property.